The medical and scientific communities have been debating the potential relationship between mouthwash and oral cancer for decades. Now a new meta-analysis has found no statistically significant association between mouthwash use and risk of oral cancer (Annals of Agricultural and Environmental Medicine, June 27, 2012, Vol. 19:2, pp. 173-180). Researchers from the European Institute of Oncology, the International Prevention Research Research Institute, and the Istituto di Ricerche Farmacologiche Mario Negri conducted a quantitative meta-analysis of epidemiological studies of mouthwash and oral cancer and, specifically, mouthwash containing more than 25% alcohol. "The potential association between use of mouthwash and an increased risk of oral cancer has been a source of controversy for several decades," the researchers wrote. "In recent times, attention has focused on a role for those mouthwashes containing alcohol on impacting the risk of oral cancer." Good news and I cannot say that I don't use an alcohol containing mouthwash once in a while. I, also, use the non-alcohol containing ones as well. 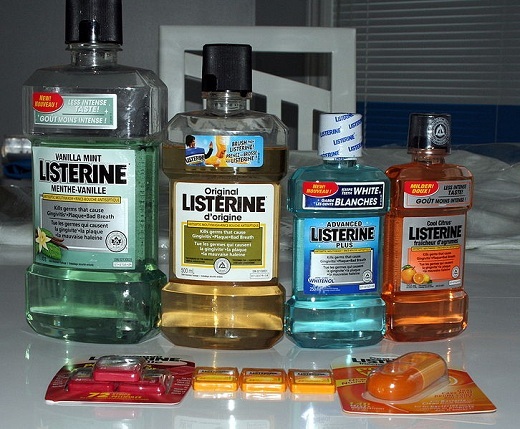 While you probably do not need these products (for routine dental hygiene), they do make your mouth feel fresher. While this quantitative analysis of mouthwash use and oral malignancy revealed no statistically significant associations, the researchers noted, "there is a need to undertake studies in which more attention is given to the investigation of the effect of mouthwash use at different points throughout the life of subjects with a focus on the reasons for using mouthwash and the particular types of mouthwash used."